A recent Sunday Times article has called out the UK online gambling industry for allegedly marketing to children in an attempt to get them hooked. 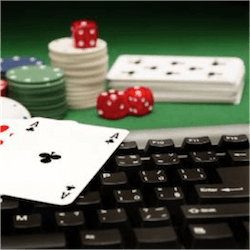 The allegation goes further to say that online gambling operators are marketing to children in such a way that it does not necessarily breach the Gambling Commission’s terms and conditions for responsible industry activity. The allegations hinge on the fact that many online slot games feature cartoon characters or figures form kids stories. The paper said that while online pokies may cost very little to play, kids can still access the games for free without registering an account at the online casino. Games that have been pointed out by name include Peter Pan, Jack and the Beanstalk and Moon Princess. The Advertising Standard Authority has stated that they will investigate these claims, despite strong denial from the gambling industry. The Gambling Commission replied to the Sunday Times editor with an open letter, stating that the agency does everything in its power to protect not only minors but all vulnerable peoples from gambling. They will investigate any and all accusations and take firm action if need be. Many think that the article is a knee jerk reaction to recently published reports that show an increase in the number of underage children experimenting with gambling. The Daily Mail newspaper also added their own 2 cents with Dominic Lawson saying that online gambling targets children and they are just as bad as drug pushers. Warwick Bartlett, director of the GBGC is of an opposing opinion however. He commented that advertising is expensive. Companies will measure the success of an ad campaign directly by measuring the cost of the advert and the returns from that advert in the form of new memberships. Since children are not allowed to gamble at any online casino and you would need a verifiable bank account and Identification Number, it doesn’t make sense to market to children who won’t be able to become paying customers for almost a decade. He went on to state that adults like cartoon characters too, using the blockbuster animated film Despicable Me as an example. Gambling consultant Steve Donoughue goes on to state that there is clearly an issue of parental negligence to be considered as well. He says that hosting free to play games at an online casino does not mean online casinos are actively targeting children.